"but as He who called you is holy, you also be holy in all your conduct,"
"The way you keep a Republic is by being a truthteller." 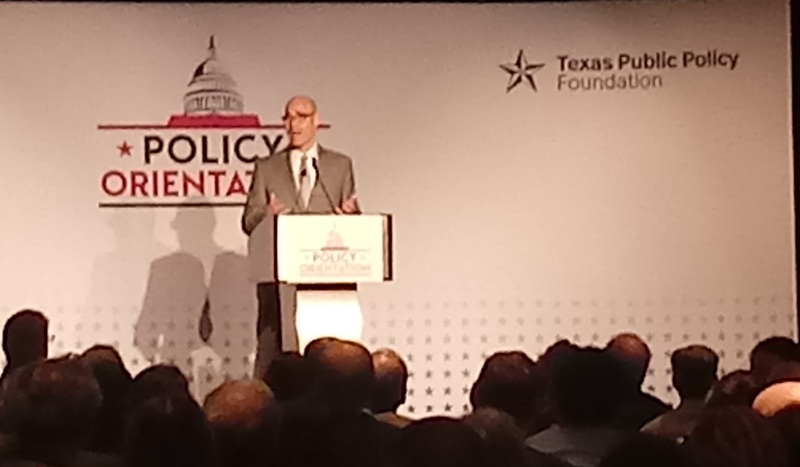 So said Speaker Bonnen this morning at TPPF's policy orientation. The speaker said so in reference to TPPF, an organization he praised for "fearlessly promoting ideas" in the legislature. It was subtle, but it was unmistakable. We've previously discussed the significance of the speaker showing up at this event, but today's remarks took it a step further. In 2013, the 83rd legislature increased spending by 26%. TPPF called them out on it at the time. It was the single most effective attack on legislative leadership during Straus' tenure. Straus never forgave them. For the new speaker to praise "truthtellers" "fearlessly promoting ideas" regardless of political favor is not an accident. Bonnen also took subtle, but noteworthy, jabs at the educrat lobby. Specifically, he said "we need education to be more responsive." Taxpayers deserve "a return on their investment" on education spending. Bonnen was also gracious and complimentary towards Ken Paxton.